Print Buyers depend on their printers. 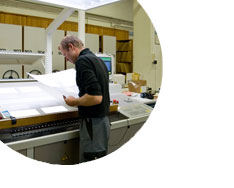 Printers are the technical experts that turn job specifications and tight deadlines into success stories. P3Expeditor is designed to manage print sourcing and transactions for buyers AND their suppliers, saving everyone time and money. Print Management: Successful printers around the globe are growing their business using the P3 System to offer new and expanded print services to their prospects and customers. Expertly source and manage production beyond your shop floor enabling you to offer an expanded menu of printing products and services without the expense of purchasing equipment. Just because you don’t produce it does not mean you don’t produce a profit! In fact many sourced jobs can be more profitable. The P3 System also provides the technology you need to offer your customers and prospects top level print procurement managed services! This technology is created and supported by P3Software so it’s affordable, easy to learn and use and we work with you to make sure it’s a success. © Copyright 2002-2019 P3Software, Inc.